I’m intrigued by what it might be, but that’s a pretty lousy discount for a blind item. Requirements: You must enjoy fun. Wherever. Whenever. Definitely not worth it to me to pay $230 for possibly having a useful $300 item. If you order it, please report what you get. I am curious nonetheless. i think it could be a switch based on the clues. the cat saying woof hints at "opposite" or "switch"
F it. Pulled the trigger. Will report back. I'll be sorely disappointed if this isn't a brand new nice sweet shiny Sweeeeeitch. In the box is a PlayStation Classic. No, no... The PlayStation Classic Watch. Is Eevee considered a dog? 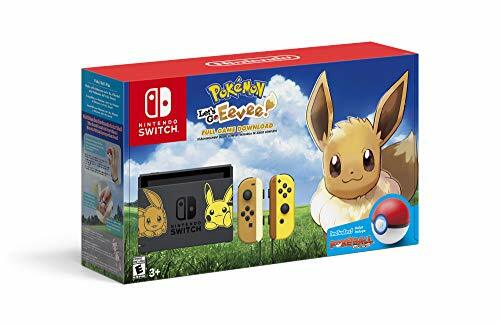 This might be the Pokemon Eevee Switch bundle. Doubtful since the MSRP on that was $359 and the listing says the MSRP is $299. Sold out already. I am doing something wrong because I can't blindly blow $229. I've passed on two of them for $150 and under now. Saw an Atari one at Target for $120 and a display Street Fighter 2 at FYE for $150, which if it were new in the box for $150 I would have bought it. The display unit is in great shape, but I am a CAG after all and would pay no more than $80 for it! This is what it has come to, loot box electronics? Y'all degens need serious help, and I say that as an Asian with problem gambling genes from both sides of my family. Woot sells like 1000 things at once, but yeah, they are selling a Switch controller so it's a big clue! I hope it's garbage so you guys learn your lesson. It's an OG Playstation. MSRP was $299, nostalgia is strong. There was a dog in Silent Hill 2, so the cat saying woof is a clear nod. Your mom seemed to think so last night. That's what your mom said the night before that.